If your looking for a full convection portable that uses very small amounts at at time with glass mouthpiece, great flavour, potent effects and a 5 second heat up time, that's also easy to use and can even be used with a waterpipe from only $119, and you don't mind that it uses a jetflame lighter as its heat source? 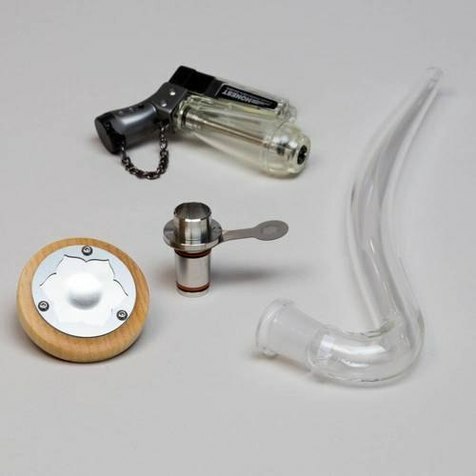 Than check out the Lotus vaporizer glass j hook kit! There's a lot to cover so please bare with me! I've had my lotus well over a year now and I love it. I brought it as a lighter powered backup but have used it far more than ever intended. It's so good I even brought a family member one for Christmas aswell and they also completely love it! The Glass J-Hook Kit combines the lighter-powered Lotus vaporizer with a Sherlock-shaped glass J-Hook pipe, allowing instant true, glass-stemmed vaporization with ease in around 5 seconds, with no need of battery's or mains power. Beautifully constructed in the USA and designed by a MIT-educated medical engineer, the Lotus Vaporizer is also incredibly easy to use. You can enjoy clean, fresh-tasting vapour within seconds without having to learn tricky techniques. The all-glass Sherlock-style J-hook pipe allows you to see the density and volume of vapour as you inhale, and also cools the vapour instantly, allowing you to inhale without fear of dryness or irritation! 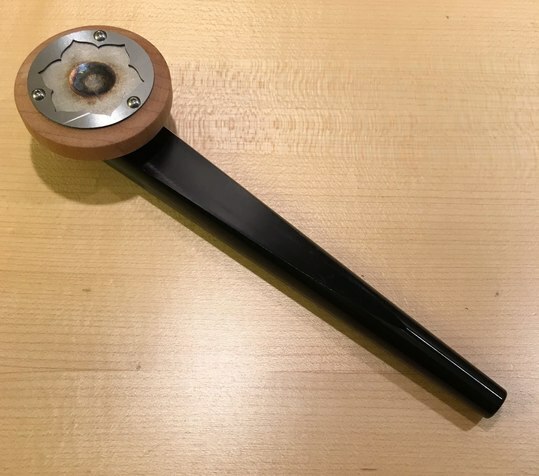 The included water pipe adapter, which can be used with the supplied J-Hook, also allows you to turn any traditional water pipe with a 14mm connection into a clean-air water vaporizer! Unlike other lighter-powered vaporizers, the Lotus Vaporizer uses a patented design that separates any butane fumes from the air you inhale. A thin nickel plate transfers the heat of the butane flame to the air that vaporizes your herb. This ingenious design keeps fumes out of the vapour pathway, allowing your herbs to bathe in a flow of hot air that vaporizes the volatiles using the same convection principle as large, electrical, home based vaporizers. To use you simply set your jetflame lighter (included) to the correct flame length which is a 1/2" - 5/8" long inner flame, which is the distance between two points on the Lotus top plate. Load the bowl half full with ground material. Tap the stem with your hand to settle the material. Do not tamp it down. 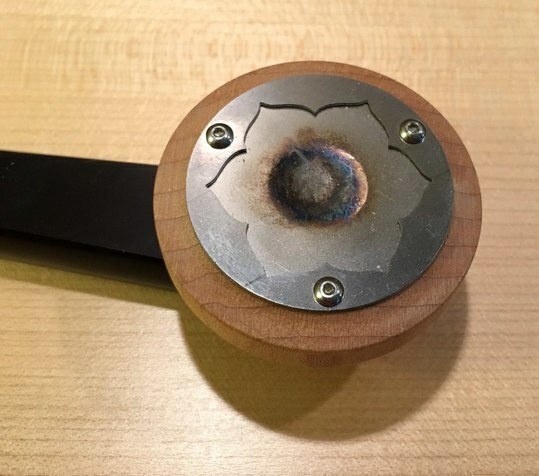 Put the vapor cap (which attaches magnetically) on the bowl. 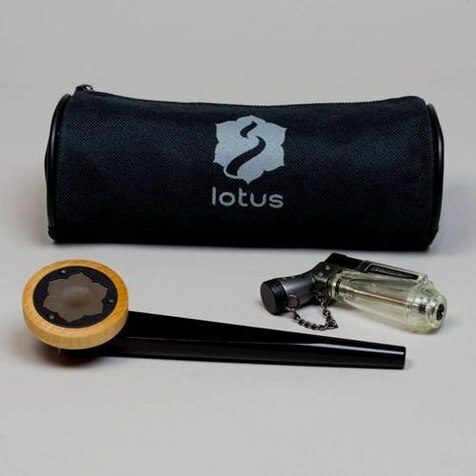 Hold the Lotus to your mouth with the vapor cap facing up. Hold the lit torch almost vertical with the flame tip touching the center of the hot plate. Preheat the plate to a slow count of four and then start to inhale. Inhale slowly (If you were going to take a full breath it would take to the count of 10). 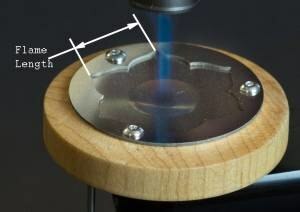 Move the flame in a small circle at the center of the hot plate. Remove the Lotus from your mouth and fill your lungs with fresh air to prevent gagging. The Lotus stops vaporizing as soon as you stop drawing on it. For best results use the attached stirring stick to stir the herbs between hits! The lotus will taste slightly wooden at first but it soon goes away! The nickel plate will discolour where heated with a hint of blue, but this is normal and doesn't effect the lotus or its performance! The nickel plate is thin so be careful not to pierce the hot plate with sharp objects although replacement hot plates are available! The lotus may occasional make a popping sound when heated, but this is perfectly normal as the pieces of metal flex with heat and is a process called tin canning, it has no effect on the lotus or its performance and doesn't happen that often! For a bit more money ($175) you can buy the orbiter bundle! 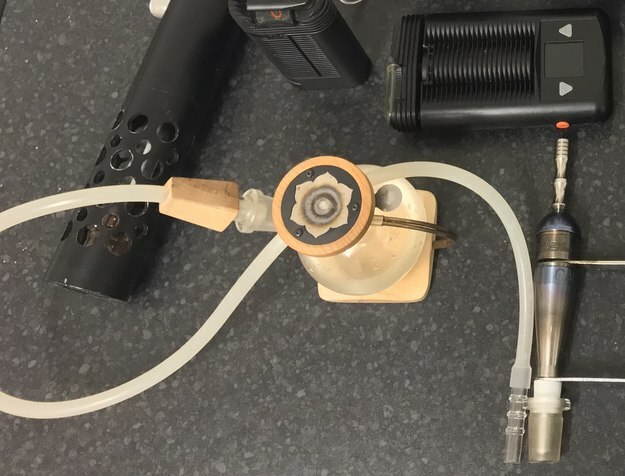 The Water Pipe Adapter Kit combines with the Orbiter by Magic Flight. If you want the Lotus combined with a perfectly sized and styled, whip type bubbler, this is it. With the ease and power of the Lotus, the cooling showerhead downstem and convenient whip of the Orbiter, these two are made for each other. 5 1/2 inch is the overall height. And for a more portable option ($124) there's the aluminium stem kit! The vapor isn't quite as tasty but it's still very cool, though it's harder to judge the density of vapor as you can't see it. So it may be a bit more difficult to use at first compared to the glass j hook kit. I have and use both the pipes and the orbiter, all three provide a great experience! The pipes can be purchased separately! The Grav Labs glass j hook stem is $18. The aluminium pipe is available in two sizes; large(6.5inch) and small(5.5inch) and costs $42. 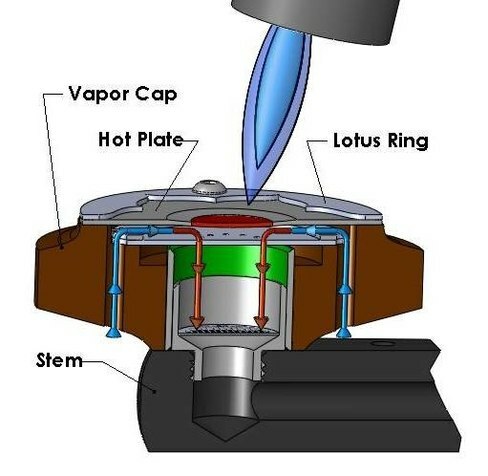 You can also upgrade the Lotus vapor cap to a high heat completely cleanable cap for an extra $17! If you like a high heat style of vaporizing or just want a totally cleanable cap, this one's for you. Designed primarily for concentrates and/or waterpipes, it's fully interchangable with the standard cap. There'll be no charred wood with this guy. The cap comes with an L shaped hex wrench and spare screws for easy disassembly. The black Lotus ring is covered with a high temperature ceramic coating for durability. Due to the high temperatures involved, the hot plate should be considered a consumable item, good for 3-6 months of use. All other parts are guaranteed for 3 years. The hot plate replacement kit costs $15. you tryin to take away my job??? LOL j/k awesome review! I always liked the Lotus and it definitely performs well, but I'd say just as much technique is required as the FF2 because of the specific way you need to heat it each time. Over the years I've also noticed that in the USA people aren't usually totally cool with using a torch lighter with their vape, which is one of the reasons it's always been one of the less-popular vapes on my site. Great review again! Very interesting stuff! The lotus always come in most handy for me when going camping or somewhere I might not have power :-! Great review, AJ!! Really terrific. BUT, this looks interesting and your article was terrific! I just wanted to bring the Lotus to people's attention as I don't know of a cheaper full convection portable that works as well as the Lotus does! Do you know of a full convection portable in this price range that does beat the vapor quality of the lotus? Have you tried the lotus with the j hook or the magic flight orbiter? It completely changes the experience! Much bigger clouds, much better flavour and it's much much easier to use than the aluminuim stem as you can see the vapour being produced as you inhale. As long as you set your lighter to the right length it's hard to go wrong! 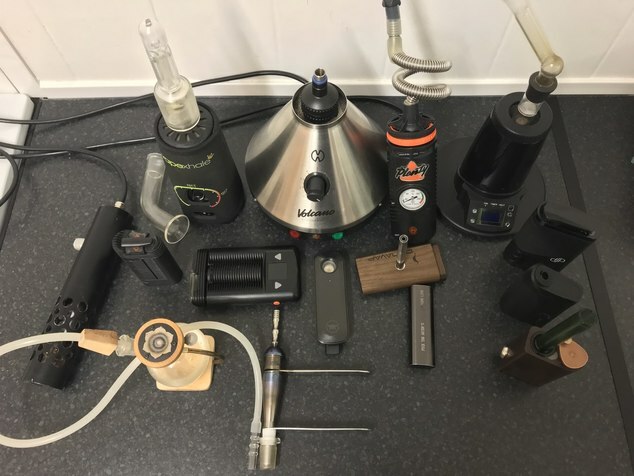 As you can tell I'm a big fan, but I can understand some people being dubious of a lighter powered vaporizer, it's just I personally think for the price point it actually produces some great quality vapor! I'm a big fan of the lotus, and don't think I've seen or heard of a full convection portable vaporizer in its price range that can compete with the vapor quality of the lotus! I may be wrong, do you know of one? Have you tried the glass j hook or WPA? it completely improves the experience (bigger clouds better flavour) but obviously it's not as suitable for carrying around. I personally much prefer the j hook and find it easier to use than the aluminium pipe as you can see the vapour as you inhale! thanks I'm really glad you enjoyed reading it. I just feel that it's the best full convection hit it n quit it portable vape you can buy for around the $100 price mark despite being lighter powered! It works great with tiny amounts, It's also beautifully hand made and reliable (although you have to set the flame length correctly and count to 4 before inhaling slowly for between 5 and 10 seconds). I've never had to change my hot plate in nearly two years of owning it! I've never burned myself or anything else with the lotus or the small jet flame lighter used with it. Because it's a thin sheet of nickel the lotus hot plate cools down pretty quickly! wow. thanks. The lotus is now officially on my radar. i'm about conduct more research. A convection vape where no electricity is required? thats awesome. plus the lighter comes with the unit? @Aj85@VapeCritic how would you compare the flavor, vapor production, and draw resistance to a crafty? I highly recommend the glass j hook kit over the aluminuim pipe kit. It provides bigger draws and better flavour aswell as coming with a water pipe adapter and being a bit cheaper, but mostly because it's much easier to learn with as there is a technique involved to get the best and most consistent results (and it's possible to combust if over heated) but stick to the instructions and with the glass to see through, it's pretty easy to learn. The lighter does come with the package, but they have been known to fail and the lighter is not covered under warranty so you may want a backup, but you can use any normal jet flame lighter and then set the inner flame length to the distance between the two tips of the flower petals on the lotus top plate. Comparison to the Crafty is difficult as its a bit apples and oranges, but I'll try! At first the lotus will have a slightly wooden taste but this goes away quite quickly! After this the taste is very pure and with the glass j hook maybe nearly as good as a Crafty, as long as the glass is clean. The lotus bowl is tiny comapered to the Crafty's and you shouldn't pack it more than half way full to avoid combustion. Also it needs a loose pack so normally you'll get maybe between 3 and 6 draws depending on how long you draw for. Obvously this means you'll probably need to reload the bowl a few times to compare near a Crafty but it's vapor is definitely pretty pure and potent and I don't find it disappointing despite owning a Crafty, even if it's not as potent! When the lotus is used with the Magic Flight Orbiter bubbler as you get massive clouds! Happy researching! I found tonnes of info on the FC forum and Google before I made my purchase also youtube has loads of videos of the lotus in action, some of them even show the lotus paired with the magic flight orbiter. Here she is all alone lol. @Aj85. Thanks very much for the review. On the strength of this review, I watched all the others on Youtube, and then ordered the Lotus jhook and WPA + vaper starter kit, from Vapefiend.. It has arrived today, and I have to say I am over the moon with it. As far as I'm concerned it is totally intuitive, and it has zero learning curve. I was producing voluminous clouds of vapour straight out of the box. I got into vaping my stuff a couple of months ago, after years of smoking tobacco, giving it up ten years ago, and going on to bongs and joints with herbal tobacco. That has now rocketed in price. So, I researched as much as I could and bought an S&B Crafty, that was pretty good, but a bit harsh, so I got a Davinci IQ, and then a Firefly 2. They are all great in their own way, the Firefly is hard to use but tastes good, the IQ is just hard work, and yes, the reviews were right, the Crafty is the best. However, none of them really satisfied me, then I saw Vapecritic's Dynavap review. So I've got a Titanium XLS, and I really love it. It's tricky getting it right, there's a knack to it, but I'm rarely combusting now I'm getting used to it. However, now the Lotus has come on the scene. This is just so easy for me, it's going to be hard to force myself to use the others. In fact, the only one I can see carrying on with is the Dynavap, because it is amazing, and elegant to use. Yup. It's 2 hours later and I'm deeply in love with the Lotus. Gonna ring the changes with a bowl on my Dynavap. Feel like doing something. Smoking this Lotus is effortless. It definitely pays to buy good quality butane. I got some Newport triple purified from Amazon, quite expensive compared to two for a pound on the market, All the Lotus pipes, in all the videos, have all got grungy, discoloured caps. I've had about 50 bowls from mine (at least) since it arrived this afternoon, and my nickel plate has no discolouration at all. Allright i just recieved my Lotus yesturday and I am already liking it. About 2 weeks ago I got also Omnivap and a SBJ and I can say I have been a bit disappointed so far. The SBJ because of his Woody taste altought I admit has diminish quiet well and the Omni because it took me a little while to find the right technique that I have to confess I still need to improve to get consistants the (greats) results I have glimpsed . I also own a vapman that I have enjoyed using for 2 month now! So here has come the Lotus!!! Nice simple design almost a beauty ;) feeling like somking an Asian Pipe for sure! Potency effectivness...ok I didn't sleep enought this last 2 days...really tired so evend 0.00001 coud have Knock me out but still...I put really little in it and I mananged to get a big strong tasty and smooth (does it sound ood??) quite fast without combusting ...really easy to use in my opinion.. It s cheap and virtually unbreakeble...my only complain would be it is not as "portable" as the Vapman and definitively less than the Omni ! You guys are right this is a great vape and I'm glad you're diggin it, I haven't used my Lotus in a long time and I just did a little sesh with it, I only have the standard stem right now. It's pretty awesome, I'm going to go look in my storage boxes because I'm pretty sure I already have the water pipe / j hook adapter, and I just got a glass j hook with my Elev8r that might work. I’m glad your all loving the Lotus. I’ve used one regularly for over 4 years now. I can’t recomend the high heat totally cleanable version of the Lotus (with the black ring) or the magic Flight orbiter bubbler highly enough, they really step up the game. How do you rate the lotus for vapor thickness and flavor against something like a Splinter? @Chandler i am in canada and i order from the us all the time it never costs me 100 dollars extra. It does cost extra for sure but its not that much. Keep an eye out for vapecritics promo codes. It might take some waiting. Honestly though i think you just need to look harder. When you put your order in the cart and get your grand total just convert that into usd. It’s hard to say as they are very different vaporizers. It’s definitely capable of some pretty thick and very flavourful clouds like the splinter is, but it’s mainly used through a j-hook or bubbler and the lotus is manual heating and more dependent on the technique being used. That being said, it’s actually pretty easy to learn and use, as long as you use it with a j-hook or small bubbler where you can see the vapor as it’s being produced. Also, the lotus can be used In many configurations, but through something like a j-hook or with the magic flight orbiter (the wooden based bubbler in my pics above) the flavour, clouds and effects are all very good. Although, it’s very dependent on the setup and technique used. Its not that it’s hard to master, just that there’s several techniques that can be used with the lotus. 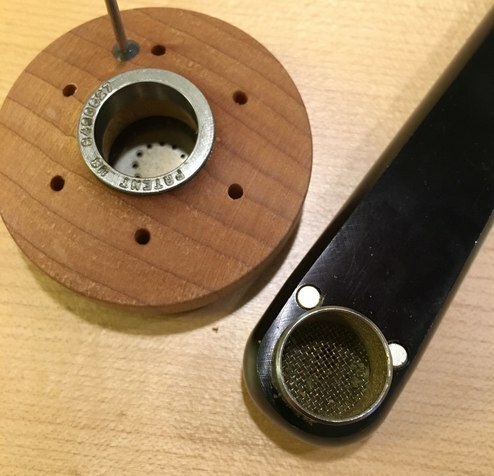 My favourite technique to get maximum vapor production and effects with the lotus, is to get some very dry herb and grind it to dust then cover the bottom of the screen. Then I pre-heat for an extra 2 seconds above the recommended time before starting a medium paced long draw through the orbiter (bubbler) to produce one massive thick and potent cloud that I inhale in a single draw, then I just rinse and repeat as necessary. No worries, I’m happy to help, anymore questions just ask! The lotus was one of my first butane vapes and as you can tell, I love it! It really opened my eyes that butane vapes could be just as good, if not better than their battery powered rivals. I now own tons of butane powered vapes. I brought the lotus as a butane powered backup for when power was an issue, but I’ve used it far more than I could’ve ever imagined when I first brought it. Also, my first lotus and original faceplate is still going strong even after all these years. It’s definitely worth the upgrade to the high heat version though as it’s also completely cleanable unlike the original. how’s it going? I hope your enjoying your new vape?! Please let me know how it goes and if you have any questions please just ask. Yes I am digging it. Great flavor and vapor. There was a small learning curve to correctly heat the device. It seems that the length of the flame is quite important. I roasted some balls before finding how to do it with the way i inhale. And as a beginner I have best results with the aluminium stem. Im glad your enjoying it! Yes, the length of flame is very important! Then preheat the cap by moving the flame in small circles in the center for between 4 to 6 seconds before starting your inhalation. no the hot plate does not require cooling between uses. The plate is nickel so it goes from hot to cool very quickly indeed. Also, vaporisation ceases as soon as you remove the flame from the hot plate. Also, If somehow you do manage to damage or pierce the hot plate, replacements are around £10 for a little D.I.Y replacement kit including a replacement hot plate, an Alan wrench and a few screws. With the older version it is possible if you don’t keep the flame in the middle of the hot plate to overheat the wood underneath the hot plate, but that problem was rectified with the later version.